From an episode of the Frank Sinatra Show in 1951, Larry Griswold performs death defying stunts in the name of entertainment. Griswold, an American gymnast, entertainer, and co-inventor of the trampoline, proved again and again that flirting with death is sure to please a crowd. 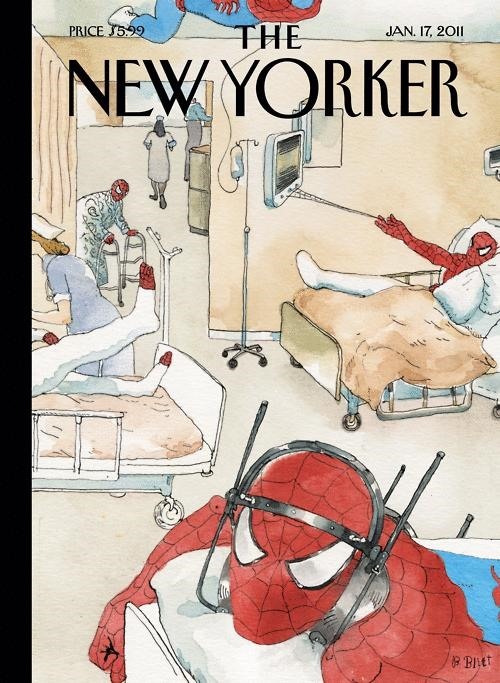 Meanwhile, in the parallel universe of Julie Taymor's accident prone Spider-Man musical, the New Yorker makes a similar case in point. The production has been plagued with injury after injury- broken wrists and ribs, a concussion, a hairline skull fracture, and internal bleeding. But rather than deterring potential playgoers, the injuries have titillated them into attending. Her father, Steven, looked concerned." Uh, yeah, maybe he should be. There's a word for that. Sadist. Hahaha, that was pretty entertaining despite the era.